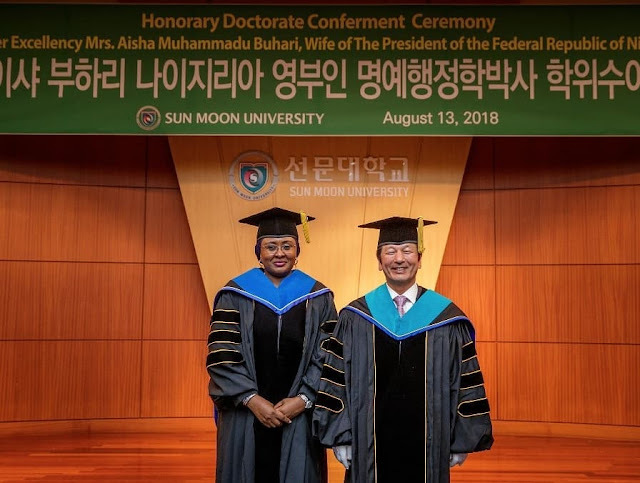 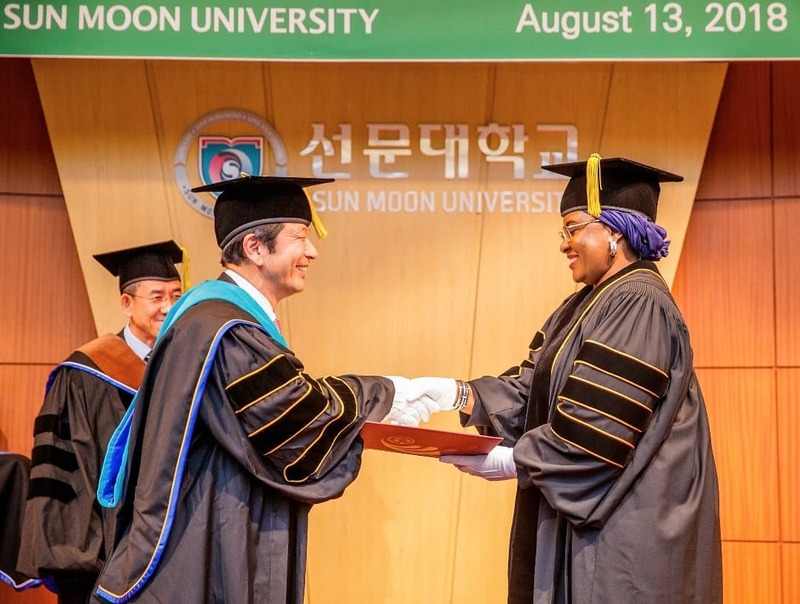 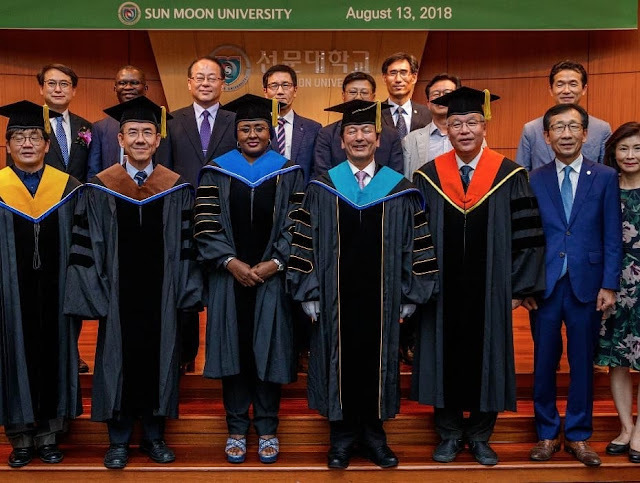 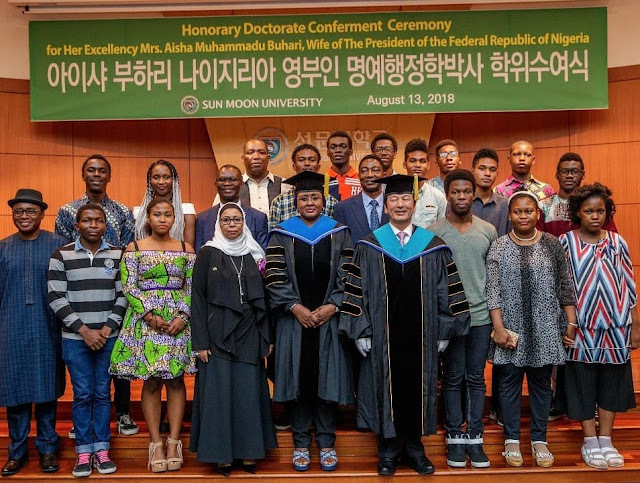 With gratitude to God for an honor done to me by the governing Council of Sun Moon University, South Korea for being decorated today with a Doctor of Philosophy in Public Administration (Honoris Causa). 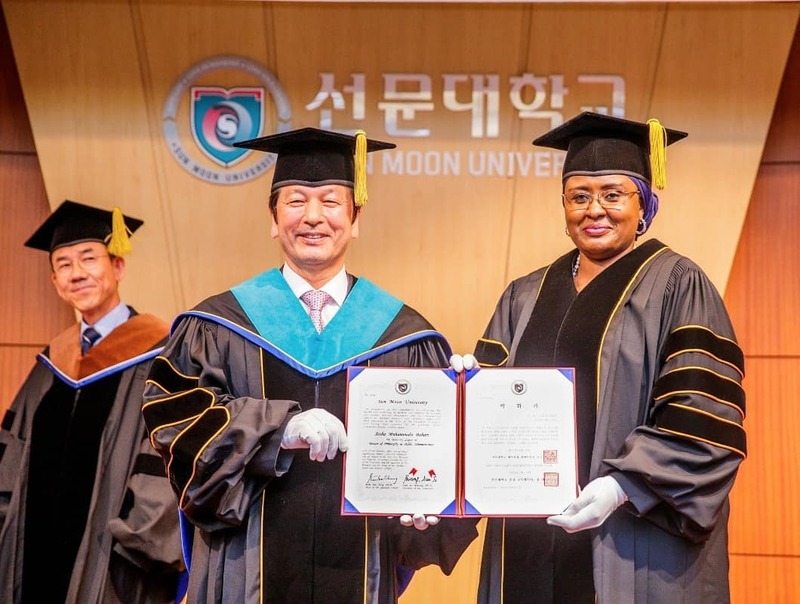 My gratitude goes to the President of the University, Dr. Sun-Jo Hwang and the entire for this honour. 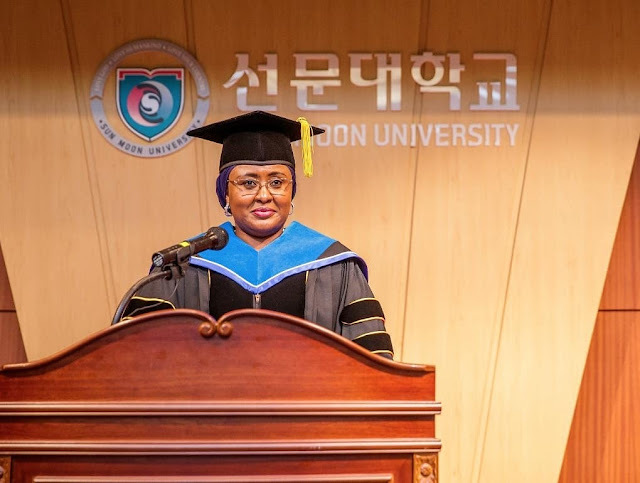 I dedicate this honour to all Nigerian women and children.